For 100 years, beginning in 1832, sure-footed mules towed boats loaded with coal and other cargo along the Delaware Canal. 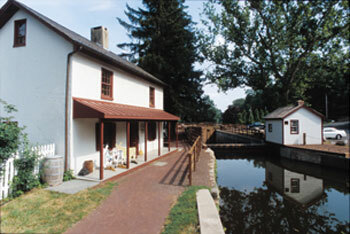 Today, you can learn about Life at the Lock by visiting the restored Locktender’s House and Lock 11, located at the Canal Boat Landing in Delaware Canal State Park, New Hope. 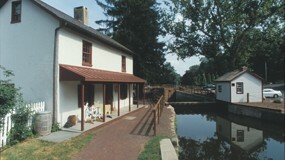 The Locktender’s House at Lock 11 serves as the first interpretive center within Delaware Canal State Park and as headquarters for the Friends of the Delaware Canal. The restored early 19th century house illustrates Life at the Lock and Canal history through exhibits, artifacts and restoration details. Boats can’t go uphill or down, so Canal engineers installed 23 locks on the 60-mile-long Delaware Canal to raise and lower boats onto stretches of level water. At the recently restored Lock 11, you can learn how the locks work and appreciate the waterway’s role as one of the nation’s great towpath canals. Year Round: Monday to Friday 11 a.m. to 4 p.m.
May 1 through October 31: Saturday and Sunday 11 a.m. to 5 p.m. Lock 11, the northern-most of the four locks located in New Hope, is restored to working order. The chamber walls and floor were repaired, the drop gate and mitre gates were rebuilt, a reproduction wicket shanty was constructed, and numerous site improvements were made. 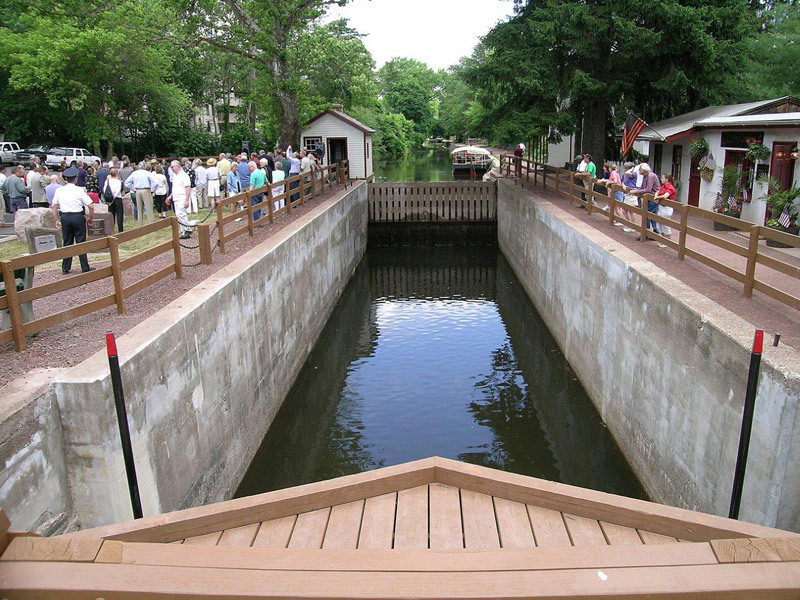 The restored Lock 11 was dedicated on June 17, 2006. Gathered next to the restored structure, state, county and local officials joined members of the Friends and the Historic Delaware Canal Improvement Corporation in celebrating the project’s completion. 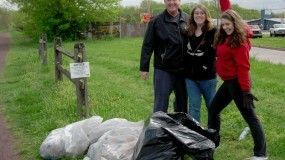 It was a morning of thank-yous, congratulations and promises that the future of the Delaware Canal remains bright. Lock 11 is the first lock in operation on the Delaware Canal in more than 50 years. It had been hoped that a boat could be lowered and raised in the lock during the dedication ceremony, but damage from the April 2006 flood precluded such a demonstration. The water that now fills the Centre Bridge-to-New Hope section of the Canal is being pumped in from the River, so that the mule-drawn canal boat ride can operate. The flow volume is not sufficient to operate the lock, and the expense of filling the Canal after the locking process is prohibitive. The April flood did provide an opportunity, however: The high water level in the Canal at the time allowed the Park staff to try to operate the drop gate and miter gates. Everyone gained respect for the locktenders of old. Making a lock work is no easy task, especially a new lock with unsaturated gates and big gaps through which water can escape. It was also discovered that it’s a precise job. If the water levels on either side of the drop gate are more than a quarter-inch to a half-inch off, the gate will not drop. Eleven men pulling cannot do the trick. Unfortunately, the abundant water disappeared before it could be operated successfully. Since April, the drop gate has been set in position to serve as a dam, holding water in the New Hope section. Lock 11 serves as an endorsement of the future of the Canal. As the canal is repaired and holds more water, Lock 11 will eventually be used, and will become the attraction it now promises to be.